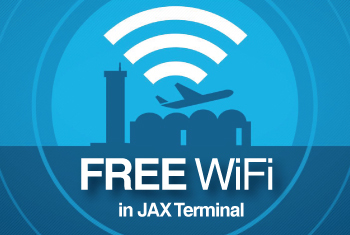 Because of its impressive and award-winning public art program, JAX was recognized in recent years by the London Observer as one of the best airports in the world to be stranded. Only three other airports were included on the list. The others were London's Heathrow Airport, Seoul Airport in South Korea and Amsterdam's Airport Schiphol. For more information about the Public Art Program at JAX , visit www.JIAarts.org and for more information about JAX, visit www.flyjacksonville.com.